Work in one of the most rewarding positions in your community! We are actively seeking caring individuals who would like to make a difference in their community by working as caregivers for the elderly. We provide care and assistance for seniors so they can remain independent in their own homes for as long as possible. We assist the elderly with personal care, meal planning and preparation, errands and incidental transportation, laundry, light housekeeping, and many other needed tasks. 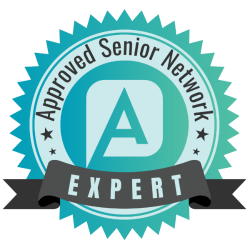 Optimal Senior Care Solutions has teamed up with Honor, the leading caregiver recruitment and management company in the home care industry, to find and hire the very best caregivers. Apply on Honor’s website today! Click the Apply Online button and complete our online job application. Please be as thorough as possible by answering all the questions and checking off all the basic skills and experience you have. After completing and signing the application click the Submit button at the bottom of the application. Clients can trust that our Caregivers will perform their duties with professionalism and dedication while they help our clients maintain their independence and treat them and their loved ones with the dignity and respect that they deserve. Our Caregivers represent some of the finest in the industry. Competitive pay rates and an outstanding work environment!